I've seen so many pictures on pinterest and instagram recently of people wearing fishnet tights and now of course I love fishnet tights. 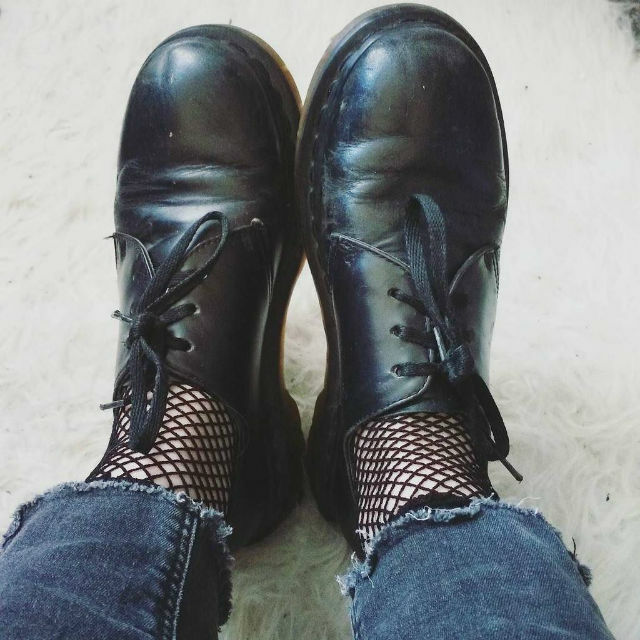 I got 2 pairs for £3 from Primark and a pair of £1 fishnet socks so here's a variety of ways that you could style them. I think they look really cool but I am worried about being cold because the weather is still damn nippy. Here's a pic of how I styled the socks so far. 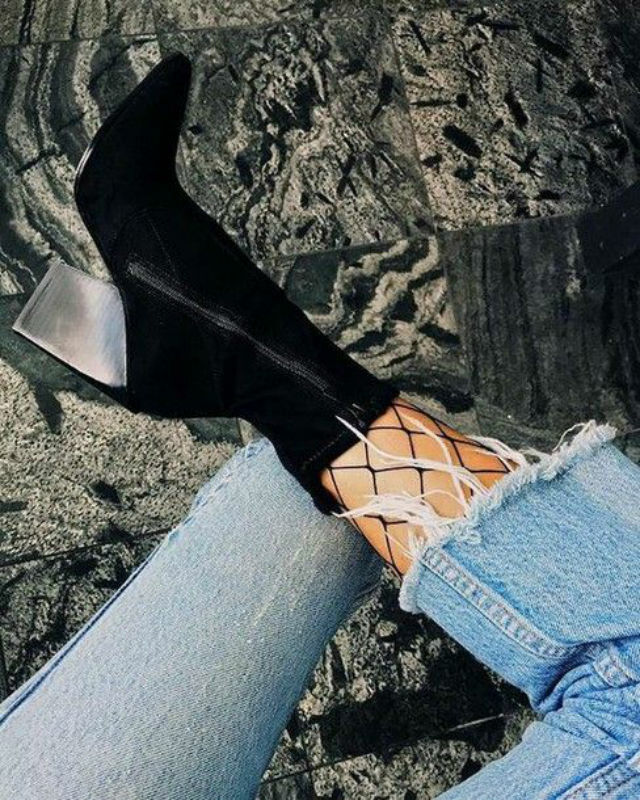 How would you style fishnet tights or socks? Do you like this trend? I've been wearing these for years, I love them under ripped jeans! I'm a real lover of fishnets. They add such a flair to an outfit!